Your t-shirts need unique designs to make them stand out to your customers, but that does not necessarily mean that you need to hire a designer. In today’s day and age you have other options and one of your best options is to make your own t-shirt designs using Creative Market. Not only does the site allow you to skip the hassle of finding and hiring a good designer, but it does so while offering a broad selection of design assets at lower prices than other similar sites. This useful platform makes the process of creating your t-shirt designs simpler and cheaper, while still looking like it was done by a professional designer. 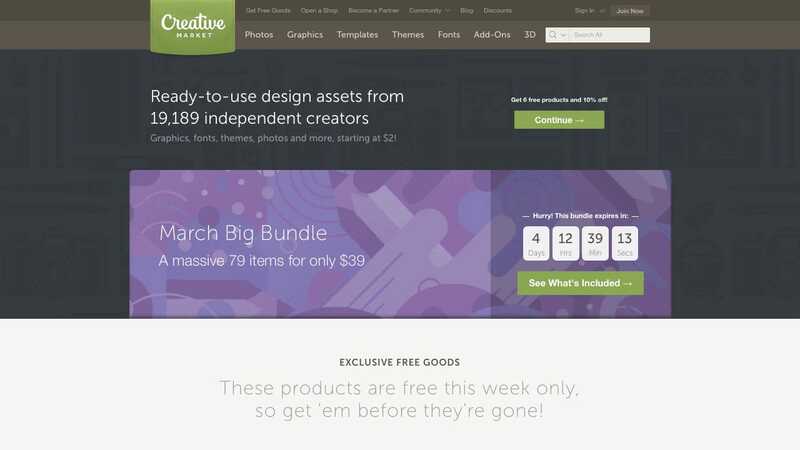 Creative Market is a site that allows designers to sell their creations while helping you find the perfect design assets for whatever you need. It is a single platform that carries a wide range of design assets, but as a t-shirt creator you’ll probably be the most interested in their selection of photos, graphics, fonts and t-shirt mockups. Whether you’re designing graphic tees or text-based t-shirts, this site gives you the flexibility to create either, or both. Plus, you are not necessarily limited to exactly what you see on display. Buy and combine multiple images, or an image and a font, to create something truly your own. Or, if you have even a basic knowledge of Photoshop, it is simple to buy a design and then make a few adjustments. Maybe that shape should be red instead of green, or that font could use a drop shadow. The site currently carries over a million designs, making the possibilities virtually endless. Bonus: Check out A Better Lemonade Stand’s review of Creative Market to get a better understanding of what services, tools and resources they provide. 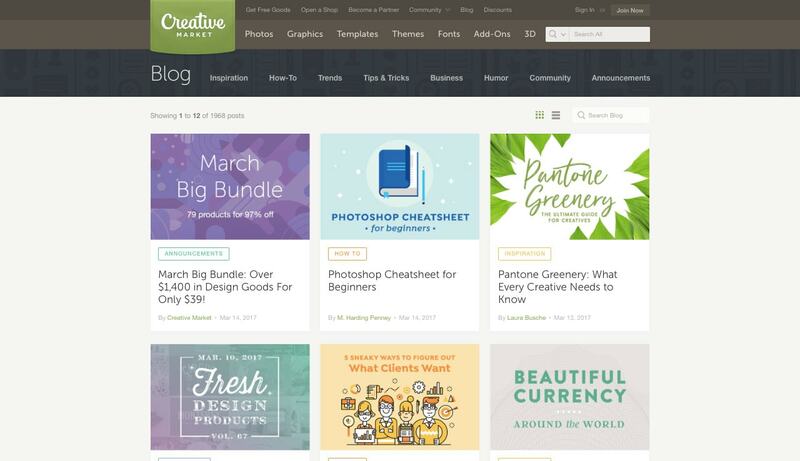 Using Creative Market can be just as good as hiring a professional designer, if not better. Even when you like a designer’s portfolio, you can never be sure what it’ll be like to work with them. There’s no guarantee that a designer is able to put onto paper what you see in your head, or that they can meet your deadlines. On the other hand, if you see a great design on Creative Market, you can just buy it right there and then. You get exactly what you want, instantly, and it’s ready to use. 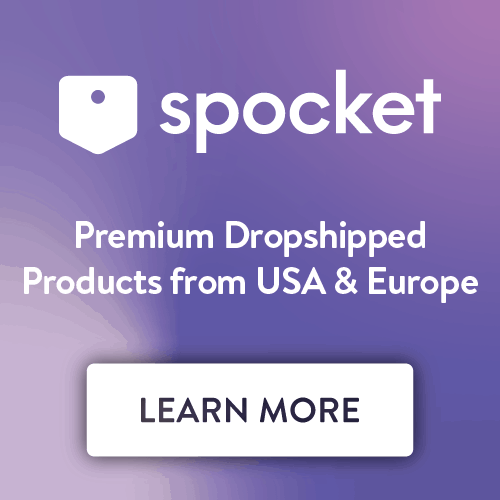 Many of the site’s designers offer bundles, so if you find someone with a style you really like you can get a whole collection of their work for a discounted price. It’s like having a professional on retainer, except every project is already finished. The graphics you’ll find on this site are competitively priced. Designers are competing with each other to sell you their designs, and you can often find amazing work at bafflingly low prices. Even though many of the designers on the site are very talented, they haven’t yet reached the stage in their career where they can find steady work, so as a result, they do not have the luxury of charging what a professional designer would charge for their design assets. Their designs are priced to sell. Besides, a designer on Creative Market can sell the same image a thousand times, whereas a professional sells the rights to an image only one time. A Word of Caution: Since the design assets on Creative Market are available for an unlimited amount of people to purchase, you run the risk of creating the same or similar design as someone else. This may not be a huge problem, especially if you’re mixing and matching different design elements together to create your own custom design, but it’s worth keeping in mind. 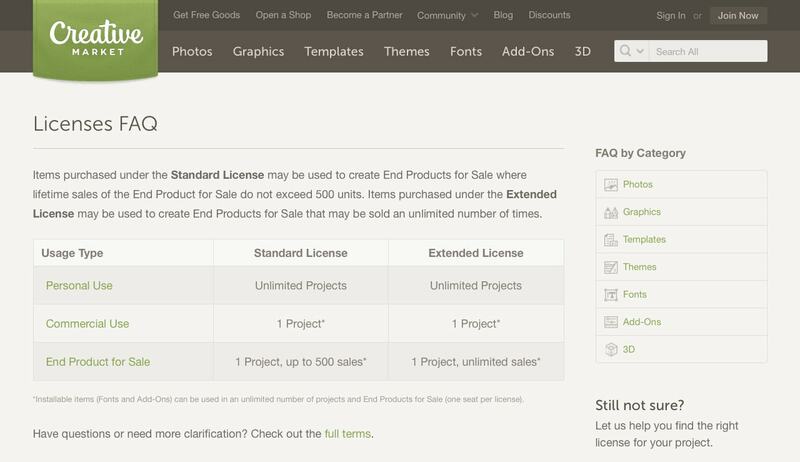 As mentioned above, the prices on Creative Market are very low already but to make that deal even better most designs come with multiple licensing options at different price points, too. If you are just starting out, or want to test out a few t-shirt designs before committing to anything, you can buy a graphic under a standard license. Many bundles offer upward of thirty graphics, textures, patterns, and fonts under this license for between $10 and $20. This license allows you to sell products using the images, as long as you do not sell more than 500 units. 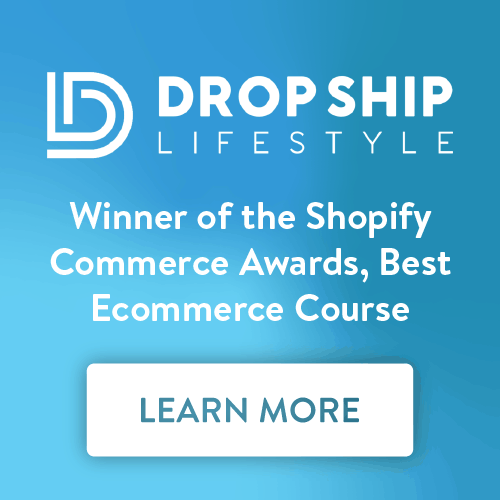 If you know you are going to sell more than 500 units, they have an extended license, for only $60, which allows unlimited sales. 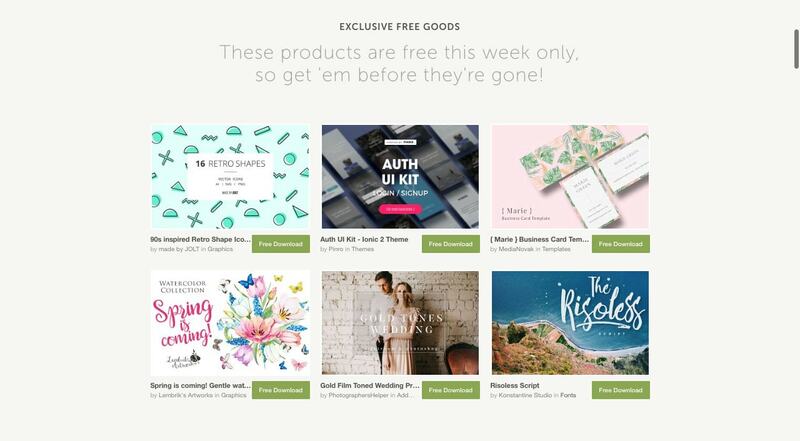 Creative Market is an appealing service that offers some exciting free extras. They offer six free designs every week, so if you see one you like you can get your t-shirt designed without paying a penny. The site has a blog, which is mostly geared toward designers, but does have some helpful articles on the topic of starting a business. 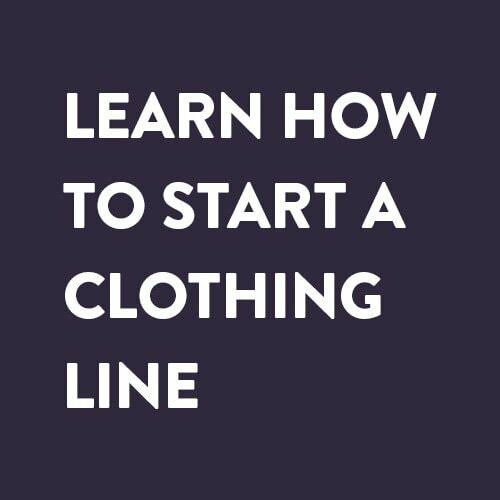 There are even a couple specifically about creating a t-shirt business. Finally, the site offers a community forum where other users can help you with any questions you may have. This can be helpful, especially to see what others are doing and get some new inspiration for your own projects. 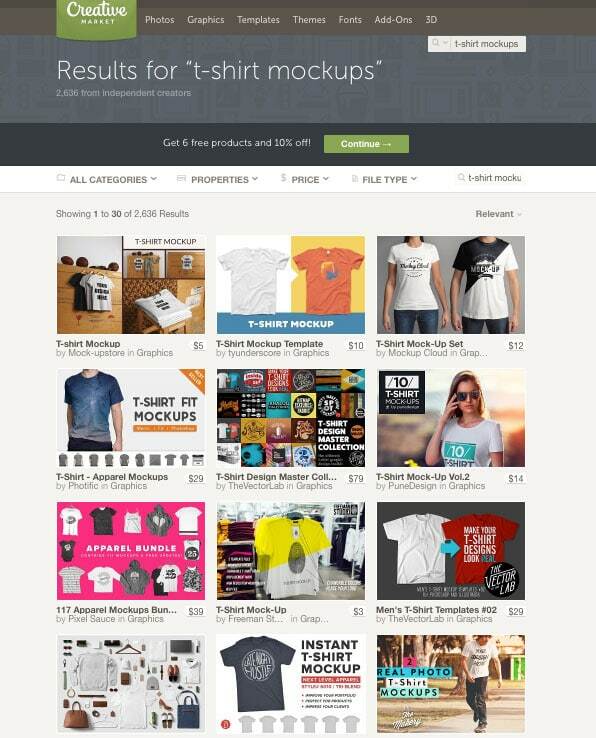 The main use for Creative Market is to find high quality design assets for your t-shirts business but while you’re at it the site does have more to offer. If you don’t have a logo for your store that looks as good as your shirts, you can fix that without leaving the site. You may even want custom business cards if your business really starts to take off. If you plan on doing any designs for your shirts yourself, you can take advantage of the tools sold on the site including brushes and layer styles. Speaking of which, if you are talented enough to create your own designs, you could always think about opening your own shop on the site and selling some of your own designs. If you don’t already have designs for your t-shirts then there’s no question that you should at least take a look at Creative Market. Looking at a designer’s portfolio does not always tell you how the final product will turn out but with Creative Market, the portfolio and the final product are one and the same. There is even a sister site, Made with Creative Market, that showcases successful products created using the site. If you want to see how the end result would turn out, or just need some information, it is worth a look. At the very least, check out this week’s free designs. There’s a small chance you will be able to just skip the design step all together!